Evelyne Jacques is a brilliant, intelligent and beautiful young woman. She was born in Bamako, Mali. She is a very ambitious and determined woman who aspires to be a professional accountant. She promises to use her skills for the development of Mali. She is also a professional model and has participated in fashion shows across Africa. Evelyne is not only ambitious and intelligent, she is also very concerned about helping homeless children around the world no matter what part of Africa. 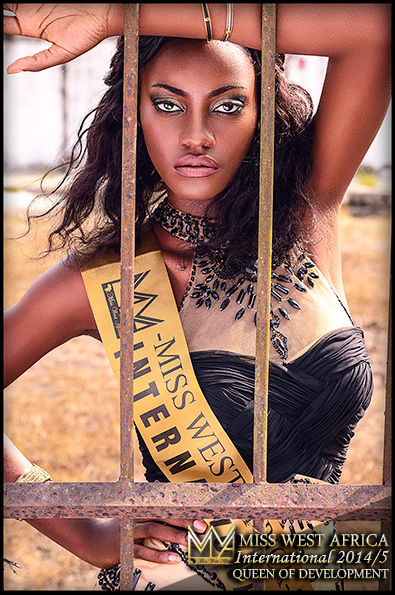 She was chosen as the beauty queen of Mali West Africa, and will be present participating to be Miss West Africa 2011 International on December 18.